The Three Judge Bench of the Apex Court comprising of Justices Ranjan Gogoi, Arun Mishra and Prafulla C. Pant reiterated that if contract expressly bars award of interest pendente lite, the same cannot be awarded by the Arbitrator. The Court also clarified that that the bar in Arbitration Contract to award interest on delayed payment by itself will not be readily inferred as express bar to award interest pendente lite by the Arbitral Tribunal. 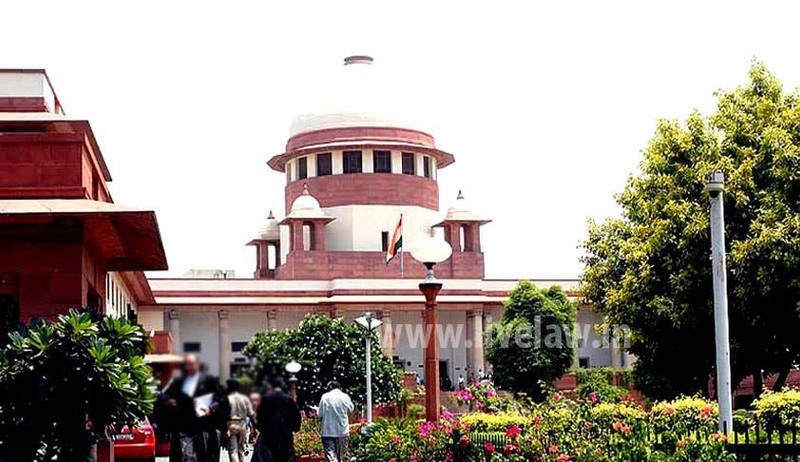 The Division Bench of Apex Court had referred to the Three Judge Bench after it doubted the correctness of dictum in Board of Trustees for the Port of Calcutta v. Engineers-De-Space-Age (1996) 1 SCC 516; and Madnani Construction Corporation (P) Ltd. v. Union of India and Others (2010) 1 SCC 549. Whether Arbitrator can award pendente lite interest when contract contains bar for grant of interest in a case covered by the Arbitration Act ? The Division Bench doubted the Correctness of decision in Engineers-De-Space-Age case in view of the decision by Constitution Bench in Secretary, Irrigation Department, Government of Orissa & Ors. v. G.C. Roy (1992) 1 SCC 508 and Executive Engineer, Dhenkanal Minor Irrigation Division, Orissa & Ors. v. N.C. Budharaj (D) by L.Rs. & Ors. (2001) 2 SCC 721 wherein it was held that where the agreement between the parties does not prohibit grant of interest and where the party claims interest and that dispute is referred to the Arbitrator, he shall have the power to award interest pendent lite. In N.C Budharaj the Court also held that as long as there is nothing in the arbitration agreement to exclude the jurisdiction of the Arbitrator entertaining claim for interest on the amount due under the contract or any provision to claim interest on the amount due, the jurisdiction of the Arbitrator to award interest forpre-reference period under section 29 of the Arbitration Act, 1940 has to be upheld. In that case, it was observed that bar under the contract to award pendente lite interest will not be applicable to Arbitrator. It was held that if the contract merely prohibits the Commissioner from entertaining any claim for Interest, it does not mean it prohibits the Arbitrator from awarding interest. The Bench said that the above position taken by the Division Bench in Engineers-De-Space-Age case requires to be diluted to the extent that express stipulation under contract may debar the Arbitrator from awarding interest pendente lite. Grant of pendente lite interest may depend upon several factors such as phraseology used in the agreement, clauses conferring power relating to arbitration, nature of claim and dispute referred to Arbitrator and on what items power to award interest has been taken away and for which period.